l. You must pre-register for all classes, whether or not there is a fee charged. We must know who is coming to plan properly. 2. If there is a class fee, you are not considered registered until the class fee is paid. Our space is limited! 3. Only those who have paid for the class are allowed to set in on the class. No visitors, please! 5. If part of the class requirement is a pattern, you are expected to have your own pattern and not share this with another in the class. This causes confusion. Thank you for your participation in our store functions. We value each and every one of you! THE BERNINA GUIDE CLASSES ARE A FREE SERVICE THAT WE OFFER ALL OF THOSE WHO PURCHASE THEIR BERNINA SEWING MACHINES FROM THE CRAFTY CORNER QUILT AND SEWING SHOPPE. REQUIREMENT: All you have to do is call our toll free number and register so that we know you are coming. Bring your own machine to class, along with the basic feet. If this is not possible make this known at the time of registration. Basics of care and cleaning of your machine & basics about your machine. In this class you will work with set-up and all of the different function buttons. 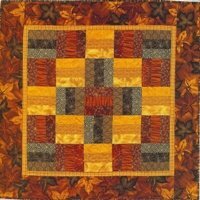 Come and share with fellow sewers and quilters. Kim will help you understand the Bernina Sitch Regulator feature of your machine. This feature of various models of the Bernina is the 'hotest' feature to be added to the sewing machine in years. When dropping the feed dogs, and free motion quilting, your stitches will stay uniform. Lear basic techniques and workability of the foot. bring your machine and stitch regulator foot. Basics in Machine Embroidery is taught by Zuby and Kim and is a free class for everyone who purchased their machine at Crafty Corner. Learn the capabilities of your machine what threads snd stabilizers that work best. Learning to hoop properly will make all the difference in your finished embroidery. You will sew out a small project.